Home Entertainment Megastar Chiranjeevi Turns As Gym Master ! Megastar Chiranjeevi Turns As Gym Master ! 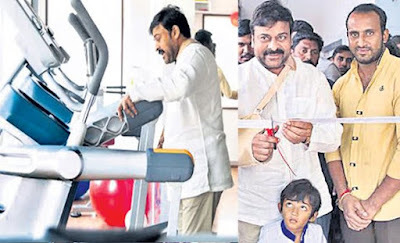 Chiranjeevi inaugurates Modern GYM in Manikonda yesterday. Mega Star Chiranjeevi was spotted on a treadmill in a city gym recently. While he was wearing a sling to his right hand, Chiru managed to work on the treadmill with the support of his left hand. As he is prepping up to the shoot of his landmark 150th film, remake of Kaththi, which is touted to be his comeback film, Chiru seen on treadmill bring cheer to his fans.Chiranjeevi also tried modern kit in the gym and appreciated Praveen for setting up a modern gym with high-end and latest equipment. As Chiranjeevi was coming to open his gym, Praveen installed big cutouts in front of the gym but, much to the shock of everyone, very few people turned up. Mass, who generally goes crazy to catch a glimpse of the actor, did not show any interest to come to see Chiranjeevi.Mean while Chiru is getting recovered after should surgery to start his comeback film. 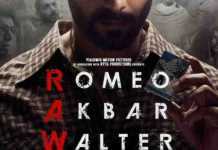 He is also busy with Srija’s marriage works.